¿Quieres ser el Community Manager de Pokemon GO? 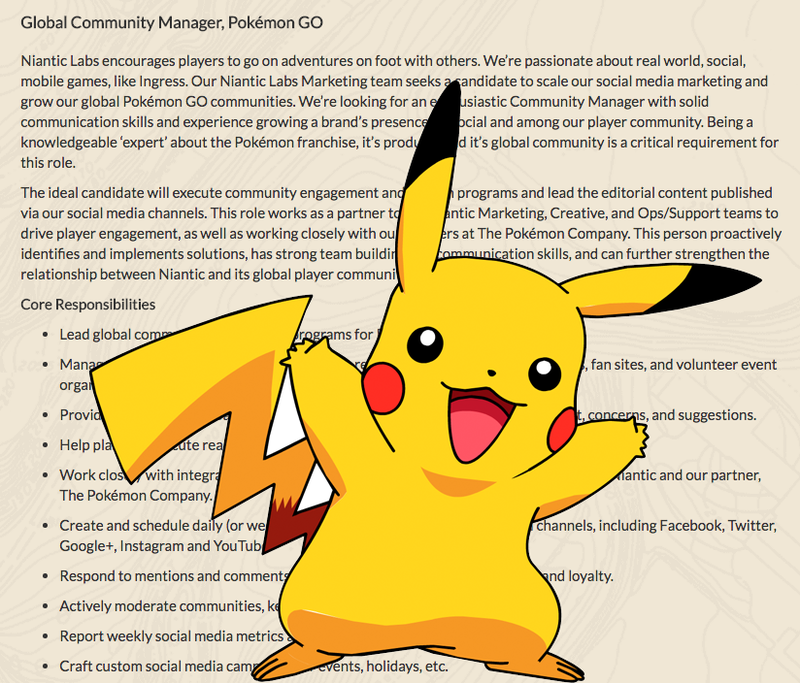 La empresa que ha realizado el éxito de Pokemon Go, Niantic Labs quiere seleccionar un Global Community Manager. Sin duda una prueba de fuego solo apta para los más fuertes. Acceder a la información del empleo. Niantic Labs encourages players to go on adventures on foot with others. Niantic Labs encourages players to go on adventures on foot with others. We’re passionate about real world, social, mobile games, like Ingress. Our Niantic Labs Marketing team seeks a candidate to scale our social media marketing and grow our global Pokémon GO communities. We’re looking for an enthusiastic Community Manager with solid communication skills and experience growing a brand’s presence on social and among our player community. Being a knowledgeable ‘expert’ about the Pokémon franchise, it’s products and it’s global community is a critical requirement for this role. The ideal candidate will execute community engagement and growth programs and lead the editorial content published via our social media channels. This role works as a partner to the Niantic Marketing, Creative, and Ops/Support teams to drive player engagement, as well as working closely with our partners at The Pokémon Company. This person proactively identifies and implements solutions, has strong team building and communication skills, and can further strengthen the relationship between Niantic and its global player communities. Lead global community engagement programs for Pokémon GO (online and offline). Manage player community relations, including relationships with influential players, fan sites, and volunteer event organizers. Provide meaningful feedback to Niantic developers on the communities’ sentiment, concerns, and suggestions. Help plan and execute real world player events to drive player engagement. Work closely with integrated Marketing, Creative, and Ops/Support teams across both Niantic and our partner, The Pokémon Company. Create and schedule daily (or weekly, where relevant) content on our social channels, including Facebook, Twitter, Google+, Instagram and YouTube. Respond to mentions and comments to drive community engagement and brand loyalty. Actively moderate communities, keeping them free of spam and abuse. 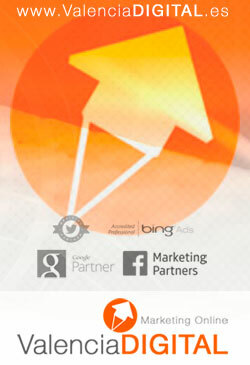 Report weekly social media metrics and share with key stakeholders. Craft custom social media campaigns for events, holidays, etc. Avid Pokémon player and fan, with knowledgeable and deep expertise in the franchise. Mucha Suerte – accede a la información del empleo. ValenciaDigital.es - Copyright © Todos los derechos reservados. | CoverNews by AF themes.